The Who Vs. 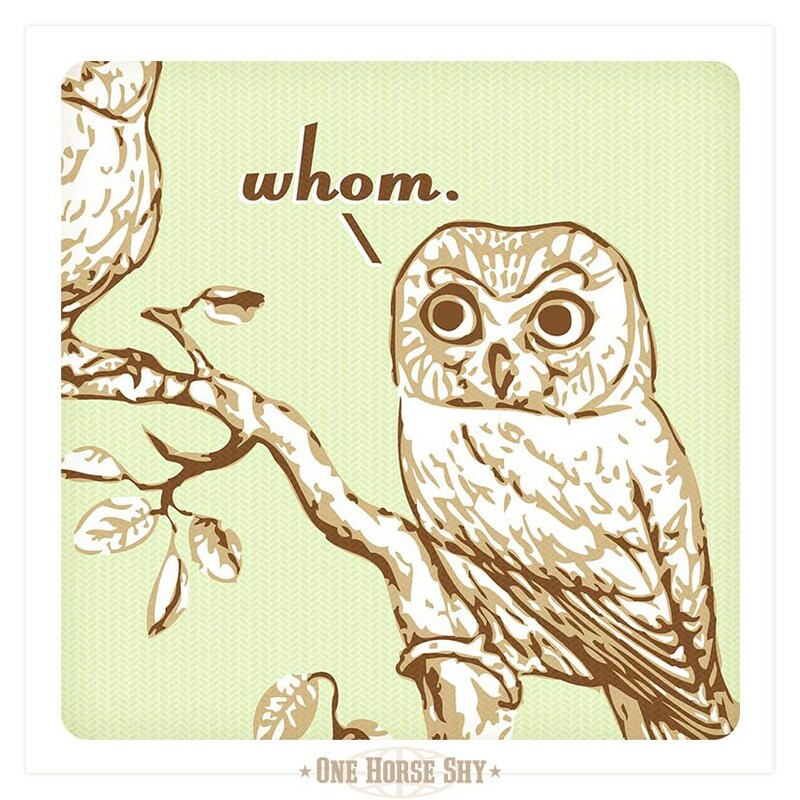 Whom Grammar Owls Art Print is available in multiple colors and three sizes (all measurements in inches): 5x7, 8x10, 11x14. This is an unmatted, unframed print. -- Giclée pigment ink print on smooth matte fine art paper. Acid-free, archival quality, and made to last! 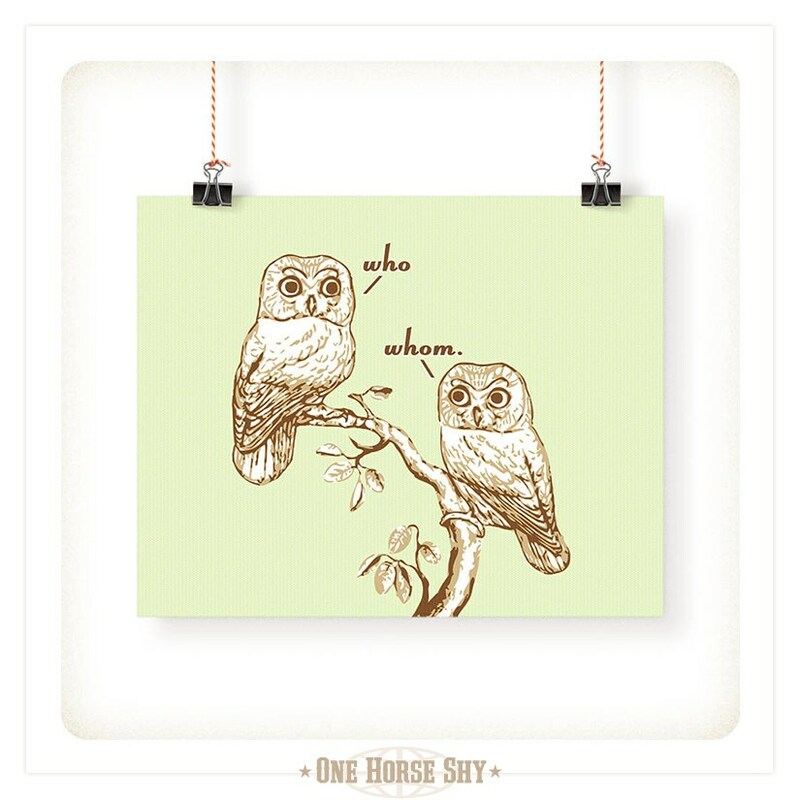 -- Easy to frame! Our 5x7, 8x10, and 11x14 standardized print sizes fit inside ready-made frames & mats. Borderless printing allows for multiple display options. -- Handmade by OneHorseShy in beautiful Savannah, GA.
-- In stock & ready to ship within 1-2 business days. All prints ship flat in heavy duty unbendable packaging. Easy flat rate shipping: Any size order ships for only $3! I bought this for my mom. She's quite the grammar woman. She loved it! Awesome print. So cute and arrived quickly!